Earn $6.59 in VIP credit (659 points)What's This? 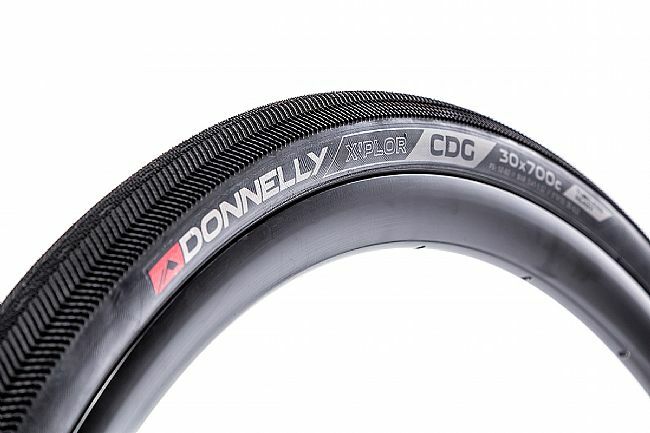 The Donnelly X'Plor CDG Adventure Tire is designed to provide the kind of traction that's needed for conquering the brutal cobbles of the Paris-Roubaix – without sacrificing speed. Featuring a center section of tightly packed mini nubs, the tire transitions to larger, beefier nubs towards the outside, allowing for confident cornering grip. An integrated puncture-protection belt keeps the wheels spinning when the road turns tough, and a tubeless ready construction allows for added comfort and grip. 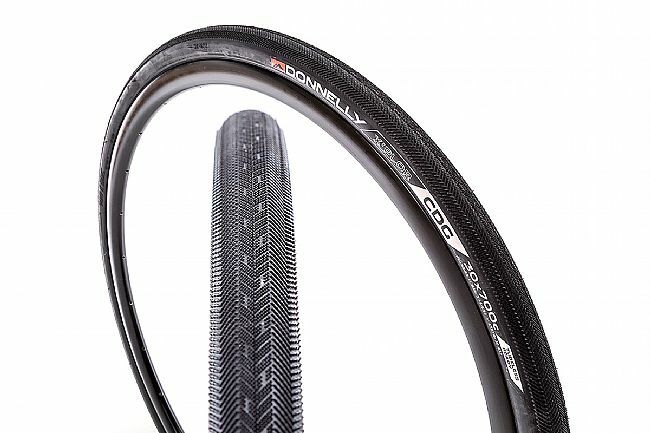 The Donnelly X'Plor CDG Adventure Tire is available in one size: 700c x 30mm. Named for the famed Charles De Gaulle airport in Paris. Lightweight, supple, and grippy road tire with a unique center-tread pattern. Side nubs offer excellent traction for confidence-inspiring cornering. I have been using these for commuting as well as training rides for about a month now, about 400 miles. BikeTiresDirect is in an industrial area so the roads into work are pretty nasty, full of debris, and lots of gravel left over from winter storms. These have been holding up excellent. On training rides these are faster than my old 700x32's but have enough volume to keep things smooth and even do light gravel. I feel 700x30 is a great size. Grip in dry and wet conditions has been very good. Mounting them tubeless went perfect and easy. Overall I highly recommend and am satisfied with my purchase. Stuffed these into a Giant Defy Advanced Pro disc bike. They fit but it's tightest at the fork crown - about 1mm of daylight. These calipered out at 31.24mm - so more volumewidth than advertised 30, but that's what i wanted. A few hundred miles on them - did a gravel race and no issues where i saw alot of others flatting. I left them on to commute on and they barely look warn - only the rear center has any sign of slight wear. They mounted up really easy and held air immediately. Very little air leakage day to day.